It has been a while since I last wrote a post, hasn’t it? I thought of writing a summary of my awesome experience at Resonate 2014 last spring, however I ended up traveling afterwards. As time went by, it felt a bit ridiculous to go back to an event onto which everybody already had commented. I wanted to write about the live video editing console I built in Max for video projections for the band Appalaches, but I haven’t. I may yet come back to this. For the last year, I have been working remotely with an american client. With that in mind, I chose to become a digital nomad. 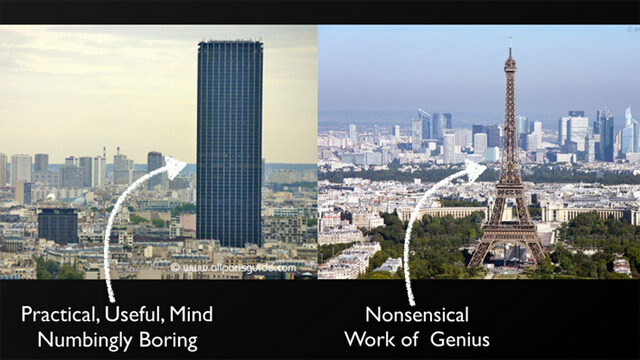 I recently relocated in Paris temporarily where I currently share a coworking space at 39.io. 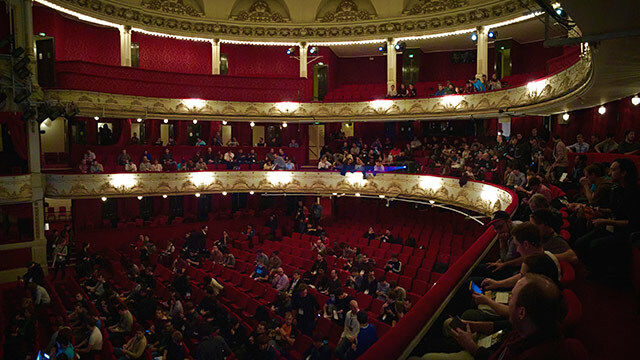 The organizers of the dotConferences also work in these locals, and so thanks to them, I attended the dotJS conference earlier this week. I saw and heard cool talks, made some new contacts and overall had a nice time. Here are some of my take aways from this day. Even though I did not grasp all the technical subtleties underlying his talk, watching James Halliday explain immutable offline webapps, a complex yet elegant concept, was great. He explained how we could use the browser cache more efficiently when building our apps to not depend so much on requests from the backend. Even though I understand much of his reasoning (ie: make web apps available regardless of connectivity, keep much of the personal data of the user only on the user’s computer rather than on a remote location/server), I wonder how much of that conceptual thinking is practically applicable to commercial apps developed by businesses. He touched on a great API that I did not know about, the window.crypto.subtle API. Combining this API, his concept of immutable offline web apps, and the concept of key pairs, he described an interesting authentication system that would allow the user to be authenticated without the use of storing any password or data on a server. His work is currently available on his Keyboot project Github repo. "Our language lacks consistency, 90% of Node modules are crap, but hey, at least we're not like those Java loosers!" — every #dotJS speaker. There were obviously more speakers than those I mention here, check the conference’s dotJS and Twitter account for more info. Overall I am happy that I was offered to attend the conference.